How Can Firefox Hello Which Is For Firefox Browser User Connect To a Friend Not Using Firefox Browser. If you have heard about Firefox Hello but you a sceptical about it being able to connect you with your friend who is not using Firefox browser, then you should not to be mocked for that. Because the fact is, Firefox Hello connect you and your friend through video and voice conversation, but if the connection of you both are going and coming from the same server, how come you are not being charged for such connection. So your skepticism have base. But the fact still remains, Firefox Hello can connect you and your friend so that both of you can collaborate to make decisions while sharing the Web page you are in, in real-time even if your friend is not using Firefox browser. How does Firefox achieve this? The answer lies in the technology which enables Firefox Hello to carry out its function. 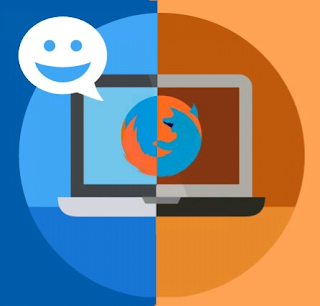 Firefox Hello uses a technology called WebRTC to carry out it features of enabling you make video and voice calls on your browser, thus any browser that also support this technology (WebRTC) like Firefox, Google Chrome, or Opera which supports this technology can connect to each other. And the reason why you and your friend will not be charged even if you are not using the same web browser is because WebRTC is a free and technology that is open to all who want to use it or contribute to it. But note that as of when this article is last updated, only Firefox browser has the capacity/ability to initiate new conversation with other browsers and also manage a contact list. And that Firefox Hello is available to Desktop and Laptop Firefox browser user. This article was last modified on 11th April 2016.